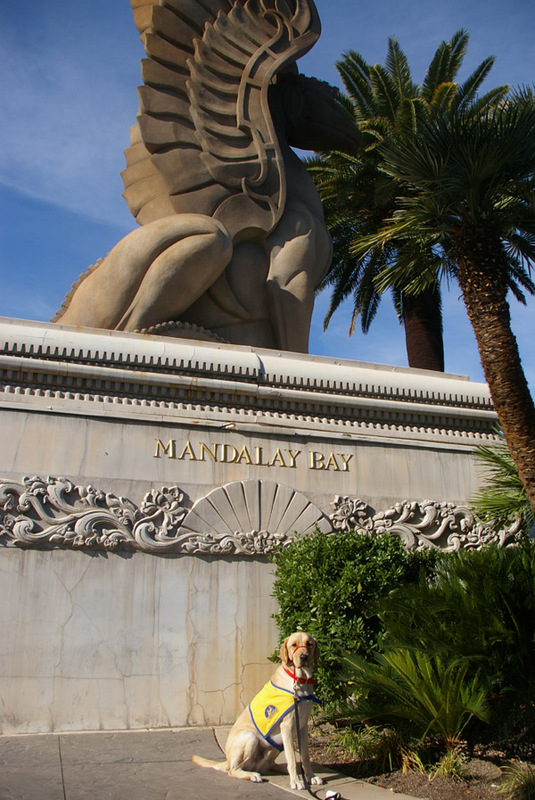 We’ve just returned from Brando’s first tour of Vegas, and he was a HUGE hit. Although the original plan was to accompany Steve to the conference he had to attend there, Brando was the star of the outing, as things turned out. We stayed on the 24th floor of the Mandalay Bay Hotel, and while toileting was always a challenge (exactly how well can a puppy hold it while walking down a loooong corridor, waiting for the elevator, making his way through the Mandalay’s “beach” (read ground) floor level and out the door to the not so near stones and grass? ), he performed like a champion. 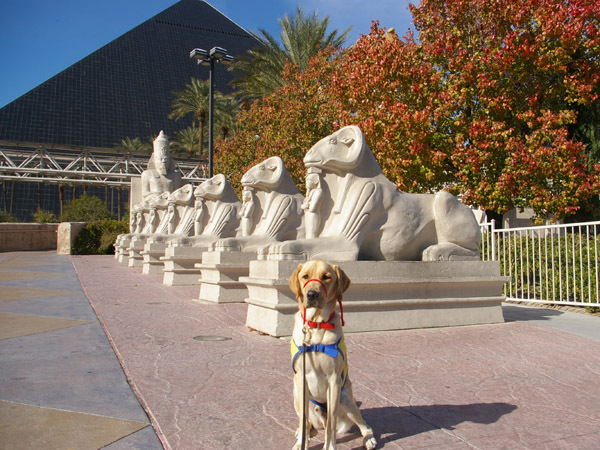 Brando will turn in for his advanced training in mid-February, and if there was ever any great opportunity to practice avoiding distractions in preparation for that, this was it. 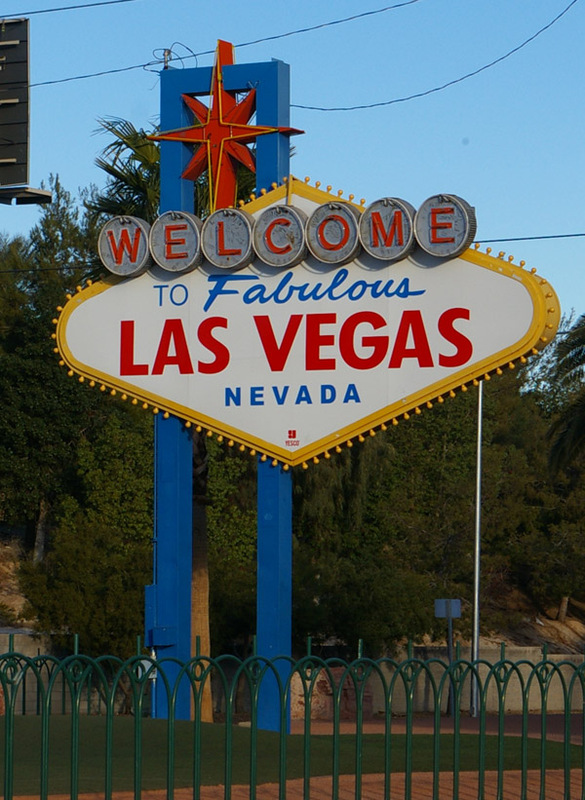 A few times, walking down the Strip in the early evening, with all the crowds and noise and lights, his flattened ears gave me an inkling that he was uneasy. But he never acted fearful or inappropriately. And the big surprise and delight of the trip was people’s reaction to Brando. CCI puppies often get a warm reaction when they’re out in public, but I have NEVER seen a response like we got here. Everywhere we went, people pointed and smiled and made kissy noises or exclaimed, “What a good baby!” Some burst into spontaneous chuckles, and we never rode in the elevator without once getting warm nods or comments and usually extended conversations. 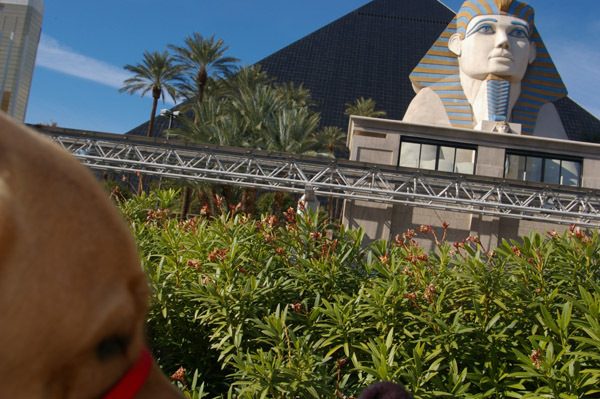 Steve supposed this meant that Vegas attracted an unusually high percentage of animals lovers, but I have another theory. It seemed to me that Brando’s innocence and cuteness contrasted so sharply with the jaded artifice of the place that it startled people into smiling or laughing. I felt like I was accompanying a rock star. 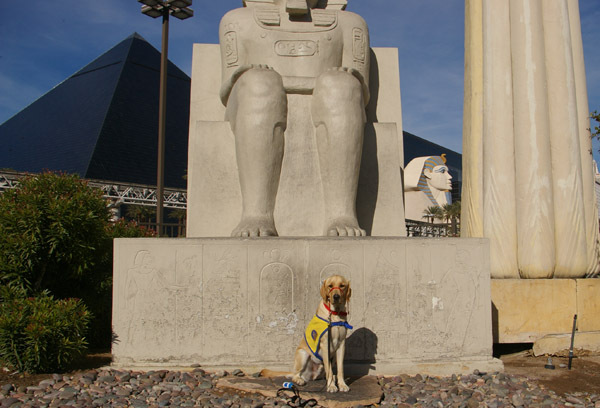 …though that large creature made him a little nervous. 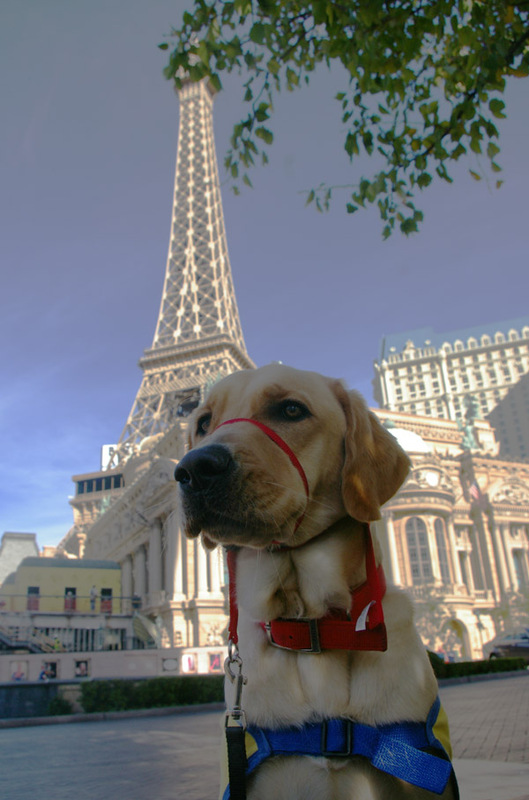 We wish we could take him with us to Paris later this month, but the Vegas Paris will have to suffice. 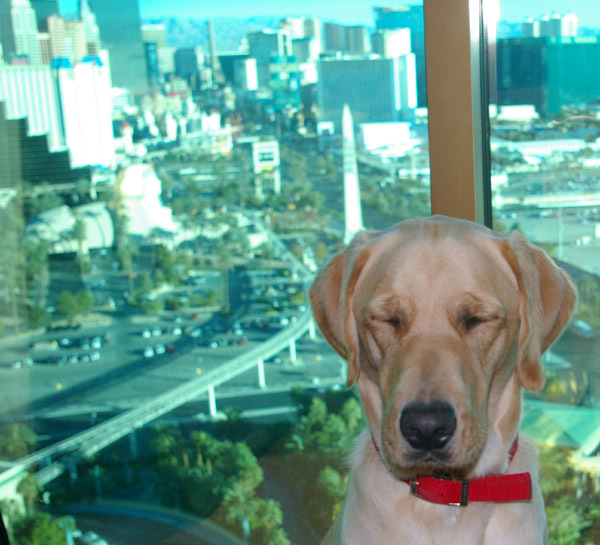 A pup can get sleepy even he could have a bird’s eye view of the Strip.